The roving reporter found himself in Newark last Tuesday. Not a great place to be at dinner time on a 90+ degree 90+ humidity day. Scorching and we had spent an hour on the roof of a huge warehouse in the middle of nowhere. We were inspecting the largest solar project in NJ—over 40 acres, 160,000 panels—amazing. 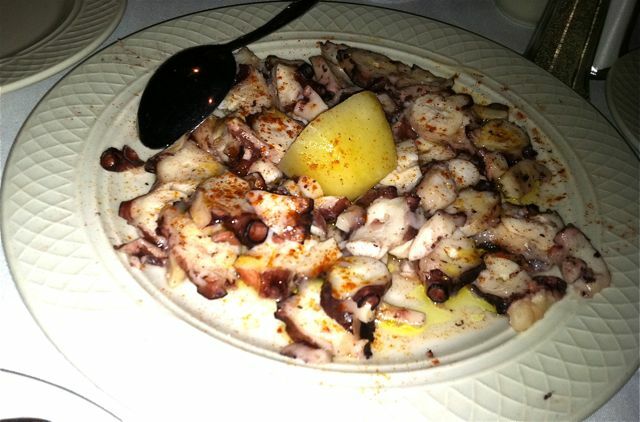 Fortunately, my friend travels the territory and suggested Portuguese food at Don Pepe, a local stand out. Well it turned out to be a treat. The place was very busy. It is very traditional Eastern USA family style restaurant, wooden chairs, old time waiters, nice atmosphere and very clean. 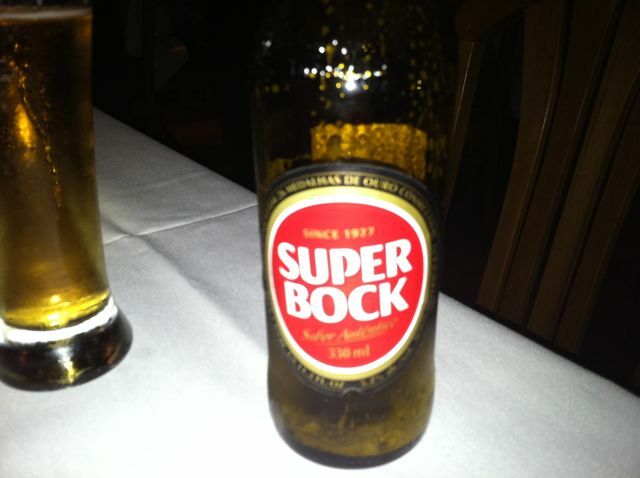 The Super Bock beer was icy cold and really hit the spot. So of course I had to have 2. No wine tonight. 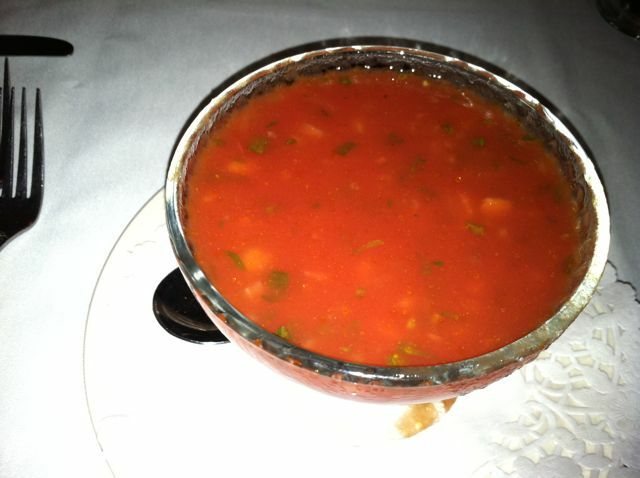 Starter of fresh gazpacho…it tasted like they put a whole herb garden in there. Cold and delicious. Not overpowered by tomato. 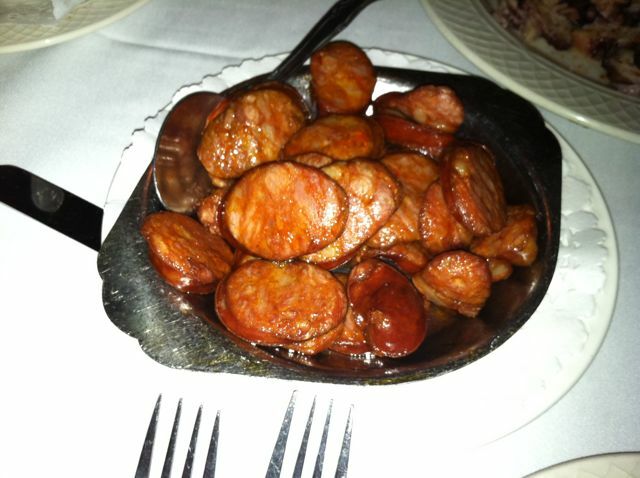 The combo of sausage and octopus appetizers was superb. Only problem, too much! 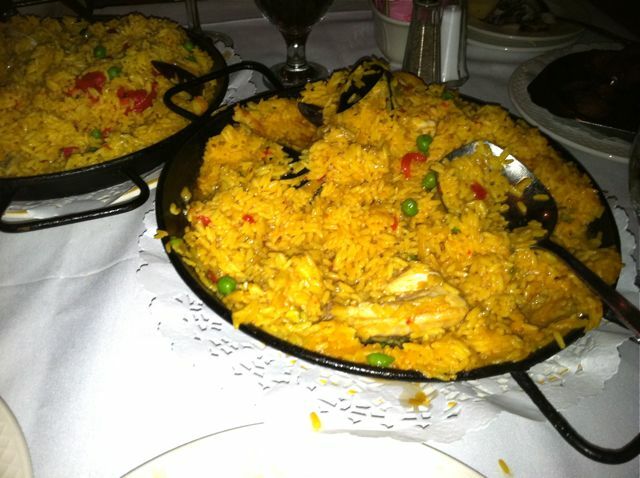 We kept the plates to add to our paella. 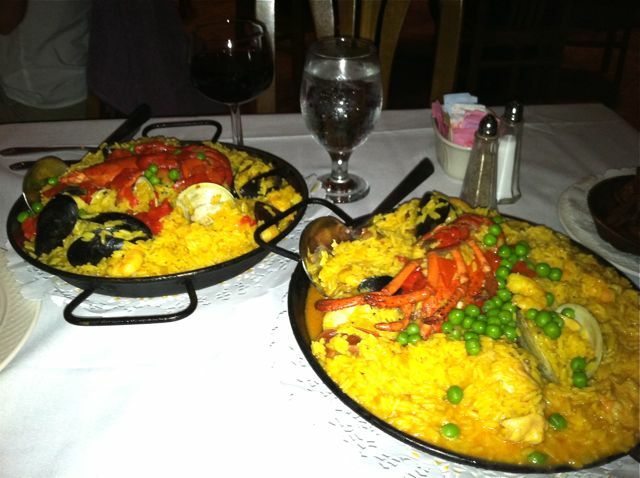 The paella—what a treat! But again too much and very reasonable at $27.00. The little shrimp and the lobster were absolute spectacular. The rice was wonderful. 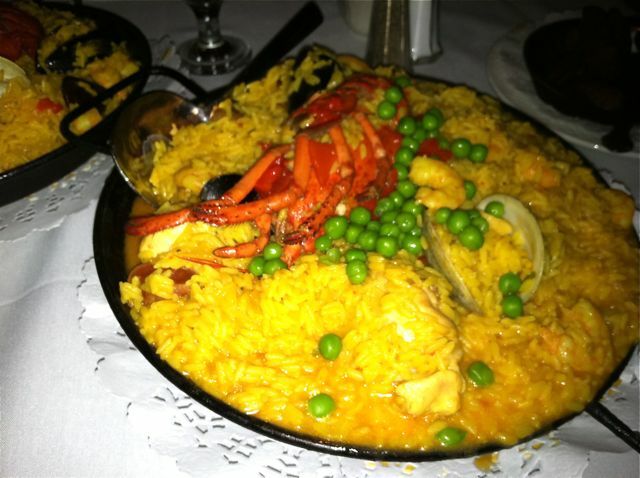 None of that over saffron taste you some times get with paella not made by experts. 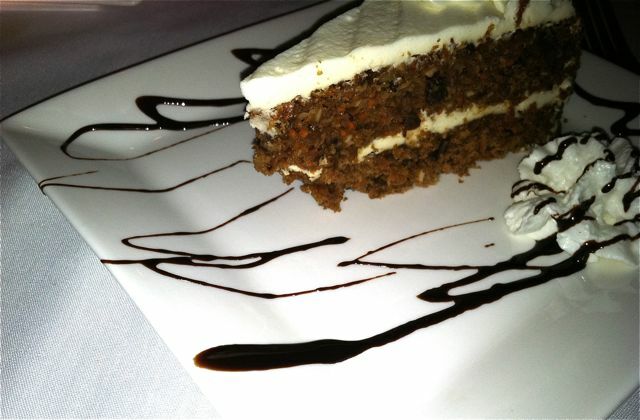 I don’t know how or why we had the carrot cake because as you can see above we did not put a dent in the paella, but it sounded [and tasted] good at the time. Not totally over stuffed, but definitely filled up with delicious food.